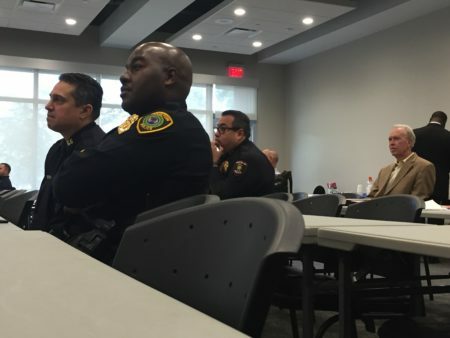 The proposed policy is inspired in part by the Sandra Bland case. 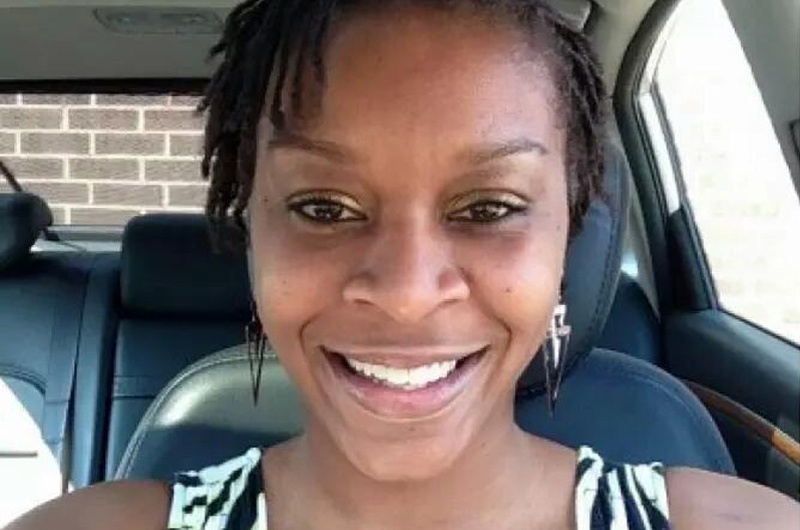 A screengrab of Waller County video shows Sandra Bland right after she is taken into the jail. “There’s still problems in the criminal justice system, and I’m here to make a couple of simple points and tell you that help is on the way,” said state Senator Rodney Ellis. Ellis was addressing a meeting of the Waller County Commissioners Court. The Democrat from Houston made the trip to Hempstead to ask local officials to reform their indigent defense system. Ellis is referring to inmates who can’t afford to make bail, so they end up waiting in jail for their day in court. The senator is asking county commissioners to make a few key reforms, including reducing the pre-trial incarceration rate, and providing counsel early on in the legal process. 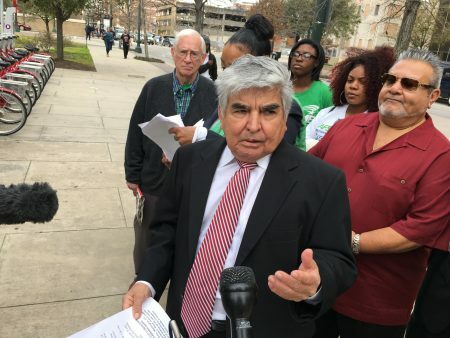 “A big part of why so many individuals are in jail awaiting trial is because jurisdictions, including Waller County, don’t allow individuals to have representation at their magistrate hearing, at which time the bond is set,” said Ellis. The senator says shortcomings in the Waller County criminal justice system were brought to light by the Sandra Bland case. Bland, a 28-year-old black woman from Illinois, was arrested during a traffic stop in Prairie View last July. She was unable to post the $515 bail she needed to be released from the Waller County Jail. Three days later, Bland was found hanged in her cell. Her death was ruled a suicide. The case drew national attention and inspired revisions to the mental health screening form used in county jails across Texas. Ellis says he wants to take it a step further and ensure that all defendants have equal access to legal counsel. “I want to encourage you to take that tragedy of Ms. Bland’s case and see what positive things come out of it so that Waller County is known for reforms,” said Ellis. The senator says one way to coordinate those efforts is to establish a Waller County public defender’s office. Currently, the county uses a system of court-appointed attorneys for defendants who can’t afford one. Commissioners also heard from James Bethke, executive director of the Texas Indigent Defense Commission. Bethke says the state committee could make funds available to help establish a public defender’s office. “Along with the senator, I think this could be a great opportunity, a wonderful opportunity for Waller County to put in place, arguably, one of the best criminal justice systems in the state,” said Bethke. But the idea was met with some resistance from local leaders who felt the public defender’s office could be an unnecessary expense. Waller County District Judge Albert McCaig says the county already has 10 attorneys on staff dedicated to indigent defense. He says in 20-14, the county appointed lawyers for more than 90 percent of indigent cases. “I want to get them started in my system as quickly as possible so that I can get them through my system as quickly as possible,” said McCaig. After the meeting, Precinct 3 Commissioner Jeron Barnett said Waller County’s reputation has taken a hit since the Bland’s death. For him, passing the reforms would be good faith gesture. “You know, I look at it as an opportunity for the county to show the world that we are doing everything possible that we can do, and Waller County is not the county that many have in their mind, that we’re this awful county, because we’re not,” said the commissioner. Hempstead resident Irene Maddox was initially confused when she saw the words “indigent defense” on the day’s agenda. But after learning more, she says she welcomes the idea. The Texas Indigent Defense Commission will soon begin an onsite assessment in Waller County. They plan to publish a report on the system this summer.